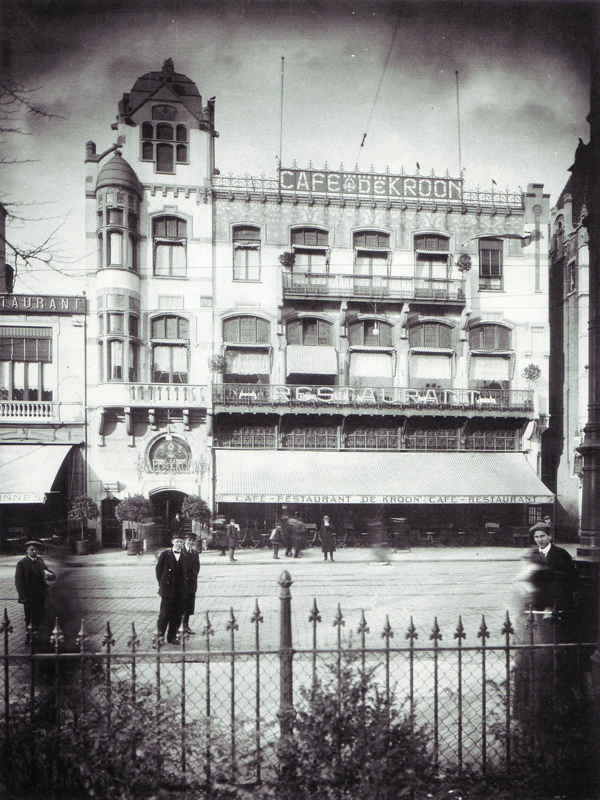 Patrick Bosman erects an impressive facade of the Cafe De Kroon Restaurant in Amsterdam. What’s most noticeable about this model is the diagonal construction of the structure, where the builder managed to seamlessly construct the building on a diagonal axis of the baseplate, a difficult feat when the LEGO studs run horizontally and vertically. Check out the gallery, featuring a detailed interior with a lively atmosphere. Patrick is always an incredible town builder and this is no exception. Super work! That’s a posh-looking establishment, alright. Lovely. Many of the “cafe” builds start to look similar after a while, but this is definately a stand-out. Really beautiful work! Patrick has been working in that style and at that scale for a lot longer than Cafe Corner has been around. Check out his Amsterdam models. 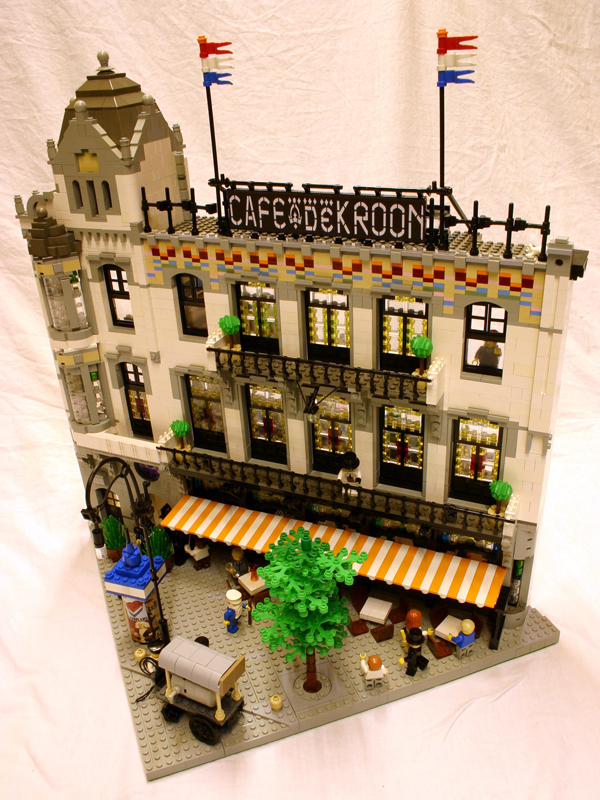 I was wondering if you were to sell your “Cafe De Kroon Restaurant” to me for a reasonable price. Ihave been looking for lego restaurants for my friend’s birthday present. He is completely into restaurants and legos so i figured this would be the perfect gift. Please respond either by commentig or the email if you have access to it. Thank you!